Are you looking for an excellent octane booster, good news that you landed on right page at right time. 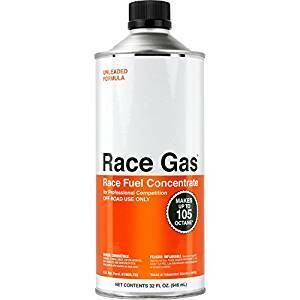 Most of the times you see several octane boosters in auto shops with fine flames printed on their package and you will possibly think if I purchase such booster, will your car be able to appear in top racers. Now to clear such misconception, the octane booster is not a magical chemical such as NOS which you simply fill in your car and surprisingly you get a flow of power. Believe in auto world there isn’t anything like free power. The only real way the octane performs is by adding it to gas in order to reduce volatility and then makes it less prone to ignite. Therefore when and why octane booster is needed? 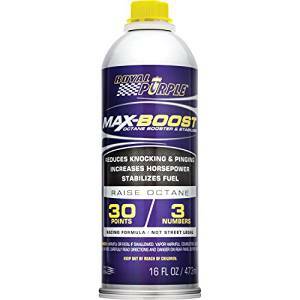 Usually octane booster is used in an engine that has high compression ratios. 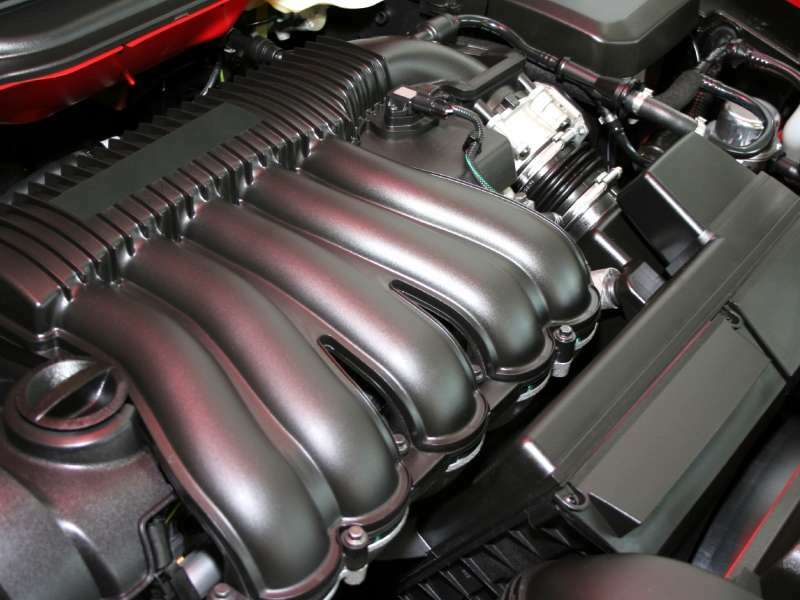 Most if not all the car engines have a low compression ratio that ranges from 8.5 to 9.5 or 1. This is fine with standard unleaded fuel. However if the engine you have is has high compression ration i.e. 11 or 1 or higher or a supercharged engine, then there is a necessity to boost the octane rating. As soon as your engine compression reaches a specific point, gasoline will begin to explode without any need of spark plug. Or if it is ignited very earlier, it causes knocking or pre ignition. This knocking really is not good for your engine and may results in power loss. Extra octane inside gasoline will going to reduce its explosiveness so that it does not pre-ignite and get it to fire in a normal manner. Therefore to run an engine with high compression ratio and to be protected from knocking and power loss you must check the user manual of your car to know whether it require a high octane gas or not and then choose the perfect octane booster. 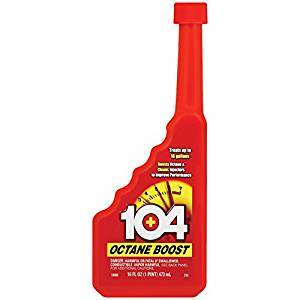 Here are reviews for the best octane booster that will help you to pick the right thing for your car. The NOS Octane is best of all available octane boosters. But it comes at a heavy price. NOS Octane is a well-known and well trusted brand in high speed car racing world. It will definitely increase octane rating of the gasoline by 3.1. As it is designed especially for higher performance engines, best ingredients are used in its making. These ingredients include however not limited to powertane, nitromethane, MMT, and other patented lubricants. By using it in your gas you can completely eliminate ping, engine knocking, gas mileage and also protect the fuel injectors of your car from the carbon deposits build up. By this you will feel an improvement inside your engine. Ideally, NOS Octane Booster is for the people who have higher performance engines that have higher combustion ratios or extremely tuned cars. Remember you will not gain any magical horsepower from it, but you can only recover the horsepower by increased engine efficiency. This however is not a very significant difference. Most significant and noticeable advantage of using NOS is yet to reduce knocking of the engine. In places where even premium gasoline octane rating is extremely low, an octane booster can be added to ensure zero knocking in the engine. When tested and compared with others, NOS Octane Booster was found over the top. Some cheaply priced products do a clearly worst job to reduce knocking and pre-ignite. 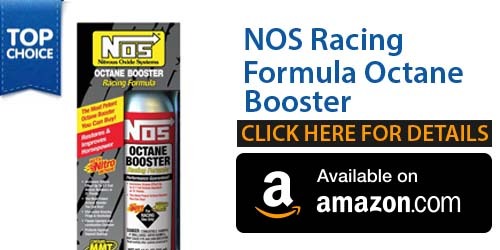 For those who are driving a costly car, spending some extra bucks on NOS Racing Formula Octane Booster can help them save their precious engine. The Royal Purple is best for those who need an octane booster with best value. Royal Purple is extremely fairly priced and gives best performance. It has MMT and therefore it can boost octane rating by three points that minimizes the knocking or pre-ignite of the engine in higher combustion performance cars like those with supercharged, turbocharged, or with nitrous injections systems. It can safely be used with leaded or unleaded gasoline and ethanol or gasohol blends. It brings back a bit of your engine power and also cleans up the fuel injector deposits; however this isn’t a big change. Be careful while trying to convert a normal car into racer then you find it useless. 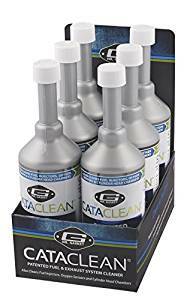 The most appreciated feature of this product is that it not only works as octane booster however also protects your catalytic converter from build ups of phosphorus. Most of the time people use performance engine oils that contain a lot of phosphorus that build up over the catalytic converter leaving hem least effective. Royal Purple Octane Booster can easily and effectively remove this for you. When it is about reducing knocking of engine NOS did an excellent job and even reduced that clicking sounds when it was tested out. We believe that NOS Octane Booster is perfect at this. Overall, NOS Octane Booster is the Best product for those who need a decent octane booster at cheaper price which also eliminates phosphorous in Catalytic Converter. As 1 bottle only treats one entire tank, we suggest that you purchase it in bulk. If you need a solid thing with reputable brand then Lucas Octane Boosters are best. It has been there for many years and provide wide items in car industry. The octane booster provided by this company upholds the similar performance standards as their many other flag ships products. When you use Lucas Octane Booster you can really boost up your car’s octane ratings of gasoline as well as protect engines from pre-igniting that damages the engine and results in lesser efficiency. It is safer to be sued for carbureted engines and fuel injected engines. It is also good for catalytic converters and oxygen sensors. The company claims to supply 3 times better octane boost as compared to their competitors. We think this isn’t true and therefore we tested it against Royal Purple as well as NOS Octane and saw that it really has the worst out of all 3 when it is about boosted octane ratings as well as knocking reduction. Overall, we yet think that it is a fine product at reasonable price. Although recommendations goes with NOS and Royal Purple, if you don’t get satisfied with these two then definitely Lucas is the 3rd best option and deserve a try. Torco is another octane booster that optimize fuel injection and performance of engine by improving process of internal combustion. On tests we found that this additive improve overall performance of engine performance as well as reduces pings and knocks. It makes you engine burn completely and optimize your system to allow you to run at 100 or 105 octane mode, without race gas. 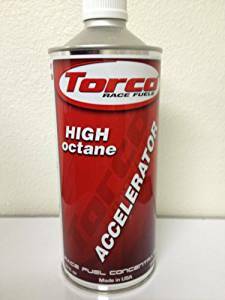 As compared to NOS Racing Octane Booster, Torco uses MMT to redece knocking that can really reduce your car’s performance. When your engine degrade, carbon deposit due to internal combustion reduce your engine’s performance. MMT help to clear these carbon deposits, and trigger the gas to combust at the higher pressure. Fuel additives and octane boosters were new to the market and therefore many products of that era are no longer produces, thus the till date presence of this product is the clear evidence of its quality. Just like other featured octane booster, this octane booster work well in our test. It noticeably reduced the knock and pings and increase octane rating. It also lubricates and cleans fuel system to reduce the premature combustion as much as possible. It allow you to save loads of bucks by avoiding costly engine repair. 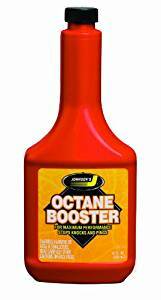 The best thing about this octane booster is that it doesn’t contain MMT or any other toxic chemical that causes problems in catalytic converter. This octane booster contains no harsh chemical therefore you don’t need to deal with any manganese buildup in your oxygen sensors and catalytic converter.